Gambia National Anthem; A Reflection And Some Questions! You are at:Home»Editorial»Opinion»Gambia National Anthem; A Reflection And Some Questions! On February 18th of this year my older brother and one of younger sisters, unbeknownst to each sent me a “Happy Independence Day” text through WhatsApp. I wrote back and said, “What independence; the last time I checked, Gambians were not free.” My sister wrote back and said “We have had independence since 1965.” I said to myself “Thanks for clearing that up to me!” My sister did not focused on the issue I raised, that, “Gambians are not free.” My brother on the other hand did something I thought was very funny, he sent me an audio of The Gambia National Anthem. I did not play the audio. I wrote back to him and told him that when I have some down time, I was going to write about The Gambia National Anthem. The focus of this article is to take a closer at the words of The Gambia National Anthem and see if they reflect Gambia and her people. The words of The Gambia National Anthem have been inculcated into the brains of Gambians since 1965, but have most Gambians ever pause and asked, what does the words of the national anthem mean to us collectively and to each one of us individually? Mind you, in 1965 when the national anthem was written and composed, Gambia was not yet a Republic. The first Gambia constitution was adopted in 1970 if I am not mistaken. Gambia had a national anthem five years before it became a republic. History has it that The Gambia national anthem was written by Virginia Howe and composed by Jeremy Frederic Howe. I suppose going by the last names of the Author and the Composer, Mr. and Mrs. Howe, were husband and wife. It is recorded that the National Anthem derived its lyrics from the traditional Mandinka song Foday Kaba Dumbuya. It is also recorded that the National Anthem was adopted after an international competition to produce an anthem (and flag) before independence in 1965. I am not trying to write history here, but the snippet of history written above is very telling indeed. The author of the national anthem is not a Gambian; this much is clear. Now, let us see whether the words of the Howes truly reflect Gambia and Gambians. Two things I am going to be doing: (1) I take the words of the national anthem in their ordinary and common usage; and (2) analyze each line of the national anthem in context. That means, with the exception of the first line of the national anthem, each succeeding like will be analyzed in relation to line(s) that comes immediate before the line being analyzed and the line(s) immediately following the line being analyzed. Between motherland and fatherland which is more appropriate? Let’s look at, on average, the relationships of children of the same father and not of the same mother and children of the same mother and not of the same father. Is it not true that often, children of the same mother but different fathers get along better than children of the same father but different mothers? Obviously there is an exception here on either side but generally it is true that children of the same mother get along better than children of the same father but different mothers. The point I am trying to make is simply that “motherland” is a more appropriate term to refer to one’s country than fatherland. When Gambians is the diaspora are going to Gambia on holidays or for whatever reasons, often one hears, “I am going to the “motherland” without actually reflecting on the word “motherland.” The more important point is that to be born of the same mother, i.e., come from the same womb is different from being born from the same father but from a different womb – mother. Being born from the same mother means having been in the very same womb like your siblings for nine months. That is indeed a very strong bond. The same cannot be said about being born to the same father. Now being born from the same mother [country]means equality of birth and right from the same mother [Country]. One child does not have more right to his or her mother [country]than another child of the same mother [country]. It also follows that each child owes the utmost duty to his or her mother [country]. When a person takes care of his biological human mother, he or she takes care of one person, but if that child takes care of his or her motherland, he or she takes care of not only his or her own biological human mother alone but all mothers and all fathers too because the fathers, like the mothers are all children of that one single mother- motherland. Motherland is that thing that all citizens of a country: fathers, mothers, sons and daughters have in common. In relation to the motherland, my biological father and mother are also my brother and my sister because they and myself are from the same motherland. If you are not yet convinced, look at it this way: The earth is referred to as mother earth, because we all came from it and will return to it as Holy Writ teaches us- to dust you were made and to dust you shall return. It also follows that Gambia being part of mother earth distinguished from the other parts of mother earth only by political distinction is part and parcel of mother earth. This truth is inescapable. Is it not also true that most of our foods and drinks come out of mother earth like a biological human mother breastfeeds her children? I want to point out that the relationship of citizens to the their motherland is the foundational basis of this article and future articles I will be writing in the next few weeks. So, it is important to keep this relationship in mind. The second line of the national anthem says, “We Strive [for our homeland]and Work [for our homeland]and Pray [for our homeland. ]” To strive means to make great effort, to fight vigorously. What have Gambians strived for since independence? If it is in fact true that Gambians have strived for anything, what can Gambians show for it? Oh! how Gambians love to talk about castles in the air and vision this and vision that! Let’s turn to Work? What work have Gambians done to develop and advance Gambian society? Gambians love to claim that they have the best airport in West Africa or the best telecommunication system and the like. Did Gambians worked to produce or manufacture those things? Can Gambia support herself from her own work, you know, “made in the Gambia”? When has Gambia done anything without dependence on foreign aids and grants? A country that depends on foreign aids and grants does not have a soul of her own. A living thing in our universe is defined as a thing comprising of a body and a soul. Once the soul leaves the body, the body is dead. Because Gambia does not have a soul of her own, but living on a borrowed soul, Gambia has been living on life-support since independence. On Pray on the second line of the national anthem, Gambians normally pray for long life and good health but do not pay attention to whether the long life and good health they pray for be a good life. Do Gambians live in unity? What is that unity of purpose? Does it have a name? It appears that without knowing what it means to be a Gambian living in unity of purpose is a pipe dream. Think about it, if someone asks you what does it mean to be a Gambian, what would your answer be? In truth, how many Gambians have ever pondered the question, what it means to be a Gambian? Talk about an identity crisis! Another term, Gambians need to ponder is what does freedom means to Gambians? Are Gambians free when the powers that be, can willy- nilly infringe on their constitutional rights? Is it possible to live in peace in a country where the supreme law of the land is not respected; or where the supreme law of the land is not the constitution of The Gambia but the executive branch? Can any Gambian make a reasonable argument that in reality the Constitution of the Gambia is the supreme law of the land as declared under Section 4 of the constitution? If the constitution is not the supreme law of the land, then who or what protects the constitutional rights of Gambians? What is the common good of Gambia? Once again, until Gambians define what it means to be Gambian, how can a person knows what is the common good. Because Gambians do not know what it means to be Gambian, “towards the common good” is like the blind leading the blinds, and as Holy Writ teaches, the result is, that they all fall in a ditch. After 53 years independence, is this, the best Gambians can do? If anyone spent 53 years trying to be better at something, there is no doubt that you will see some major improvements. Gambia is 53 years into this experiment of being independent; what has Gambia to show for it. It is one thing to deceive another and it is another thing to deceive oneself. To deceive another is bad and to deceive oneself is slavery. This has not happened in 53 years and the reason being there are no identifiable goals that Gambians can rally around. The former and current administration exemplifies this point. Most Gambians were aware of what the dictator was doing by creating factions and pitting one against the other. And the current administration came to power under a coalition, but governs as a faction of that coalition under the fallacy that it is the majority party. I will write more on this fallacy in the coming weeks. One historical point, during Jawara’s time there was what was called “Tesito,” and it was a colossal failure because the government neither defined the objective nor provided the means for Gambians to “Tesito.” You know, one cannot “Tesito” without a rope or something that would do the job of a rope! Man’s brotherhood, meaning a relationship of association, society or organization that binds together by a common purpose because from the same mother- Gambia. Are these words manifested in how Gambians live and act towards each other? Gambia, a sliver of a country where the dominant religions are hypocrisy and envy cannot prove man’s brotherhood absent clean hearts. Gambia is a country where educated Gambians are viewed as enemies. And where too, educated Gambians view uneducated Gambians as not worth listening to and respected. A country where education is used as a whip to silence the uneducated; you know the familiar saying, shut up, you are not educated. Education should always be a requirement to hold important public office, but to exercise one’s constitutional right does not require one to be educated. Pledge allegiance! Going back to the previous line, to prove man’s brotherhood, is what we are to pledge our firm allegiance. Does this brotherhood exist in The Gambia? If it does exists, what is it? Does it have a name? In the United States, there is the pledge of allegiance and it goes like this: “ I pledge allegiance to the Flag of the United States of America, and to the Republic for which it stands, one Nation under God, indivisible, with liberty and justice for all.” There is nothing like this in The Gambia. What promise is this? And to whom is this promise made? This line makes sense in relation to the line that comes before it, “we pledge our firm allegiance.” Allegiance can mean promise. So we renew our promise to “prove man’s brotherhood.” Brotherhood because from the motherland, Gambia or if you like from one mother earth. Whether this promise really exists in The Gambia is for each to answer. Honest answers can go a long way! Who is this great God of nations? What is his identity? 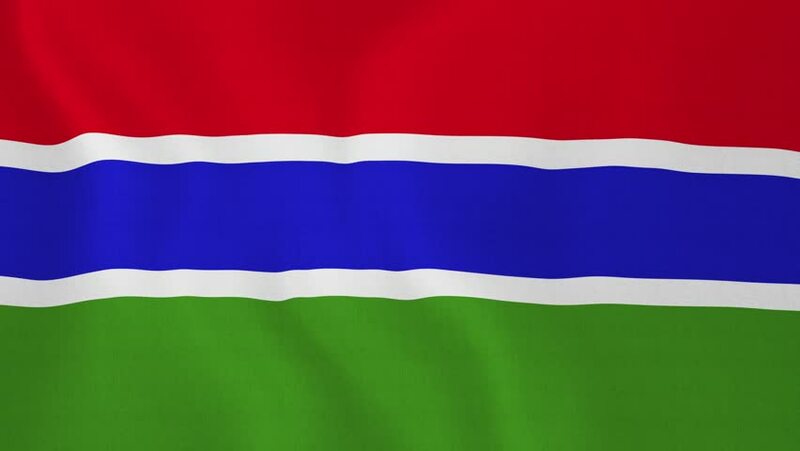 What prayers are made daily to this great God of nations for the betterment of Gambia? Even if this great God of nations’ identity is known, is he being worshipped in the right manner? “These people honor me with their lips but their hearts are far from me.” Mt. 15:8. True of what or to whom? A country without an identity cannot be true to anything? One of the inscription at the Oracle of Delphi as Plato through the mouth of Socrates teaches us is “Know Thyself.” Often, when a Gambian is told that he or she does not know him or herself; that person takes what is said to him or her as an insult. To know oneself is to know one’s purpose in life. Do you know your purpose in life? Do Gambians know their purposes towards their motherland? My next article will focus on president Barrow, our very own political animal!